A box containing the ashes of two babies which was stolen during a burglary has been recovered. The maroon box was taken along with jewellery from a property in Castlegate in Richmond, south-west London, on Monday afternoon. Scotland Yard said it was found during inquiries into another burglary in Buxton Road on Wednesday. Three men have been arrested on suspicion of handling stolen goods over the burglary in Castlegate. 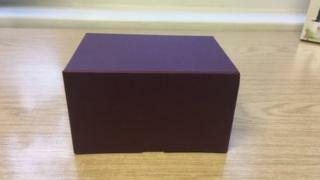 The box, which contained the ashes of twins who died at birth, will be returned to the parents on Friday, police said. The arrested men, aged 37, 26 and 31, have been bailed over the burglary.